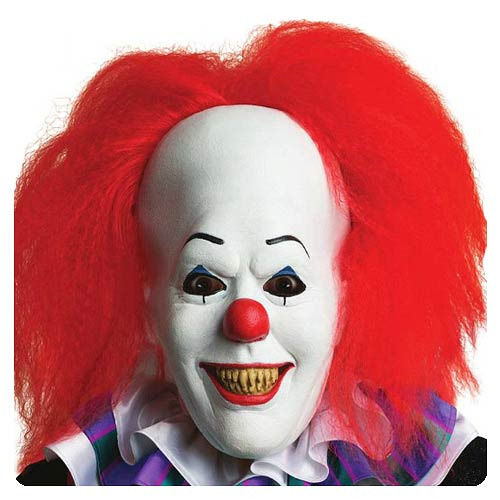 If you loved the TV mini-series based on the Stephen King book, you're going to love the scary look of this It Pennywise Overhead Latex Mask with Hair! Put this latex stretch-for-comfort mask and become Pennywise the Dancing Clown, the sadistic wisecracking clown who terrorizes his prey by transforming himself into his or her worst fears. The It Pennywise Overhead Latex Mask with Hair sports the same look as the clown from the TV series, including those gruesome teeth that gave you nightmares! Ages 10 and up.